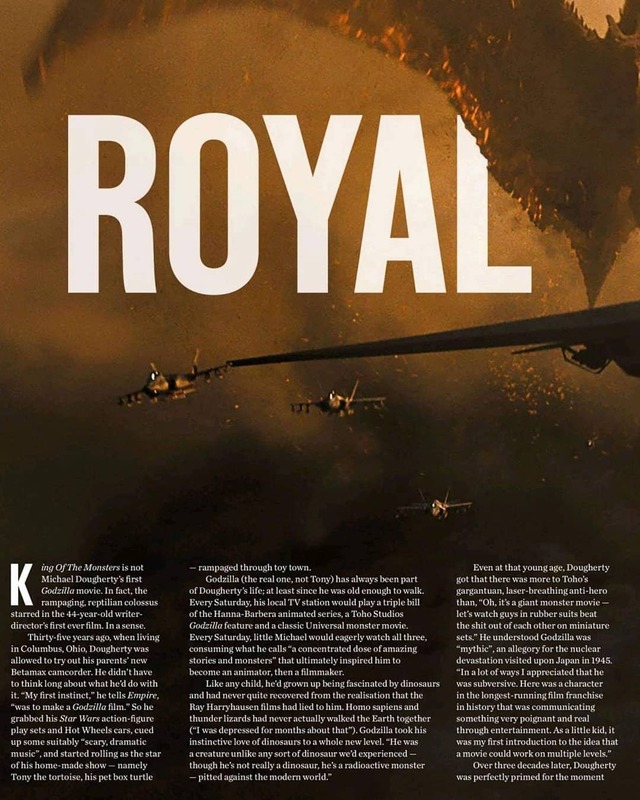 Godzilla 2: King of the Monsters Empire 2019 Magazine Scans! 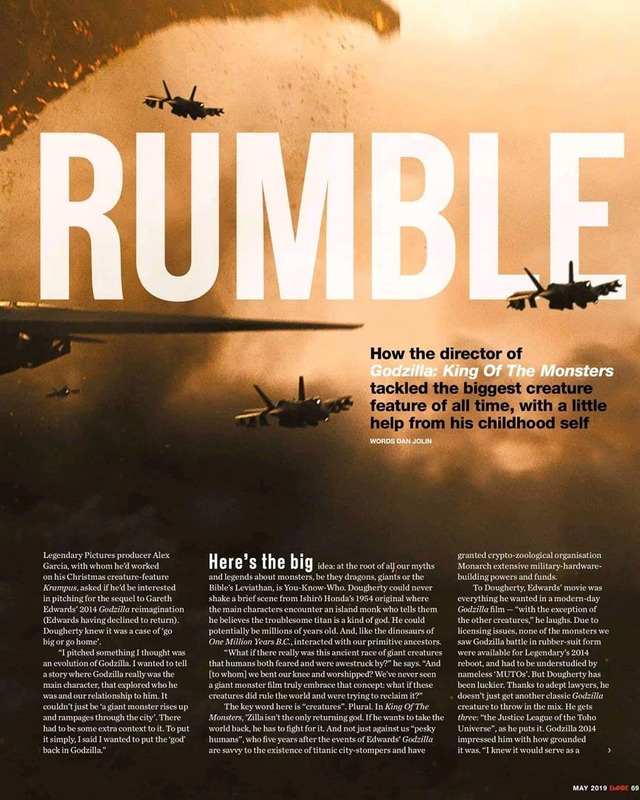 Thanks to Kaiju News Outlet for the scans! 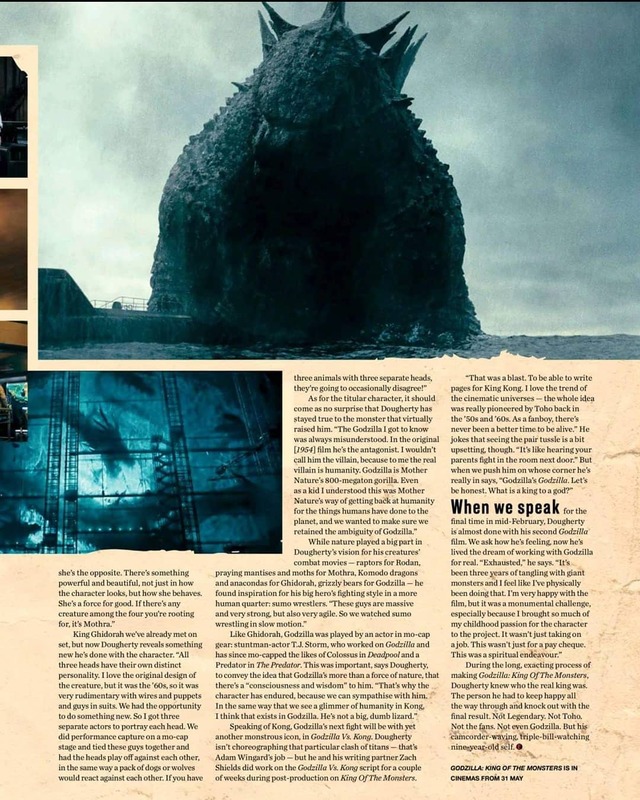 5 Fan responses to Godzilla 2: King of the Monsters Empire 2019 Magazine Scans! So Dougherty is confirming this is a world of giant monsters awakening from their hidden slumber and out to retake the world from persky humans. Me too. It was the same inspiration for the battles in King Kong vs. Godzilla. That's exciting that they're throwing in a more fun, human element to their combat style. "...the Joker to Godzilla's Batman." I've used this same comparison between King Ghidorah and Godzilla for years. So happy to see Dougherty do the same. "If there's any creature among the four you're rooting for it's Mothra." Love this! Respect for the Queen. It was such a great and clever idea to portray Ghidorah's heads by 3 different actors. Each head having its own mind and personality sounds amazing. 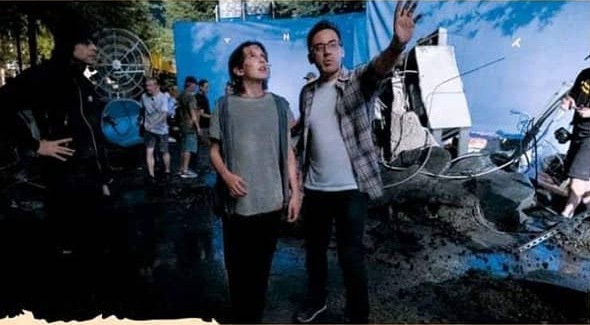 Correct me if I'm wrong, but it's also something we haven't seen that much before, not only in Godzilla, but movies in general. 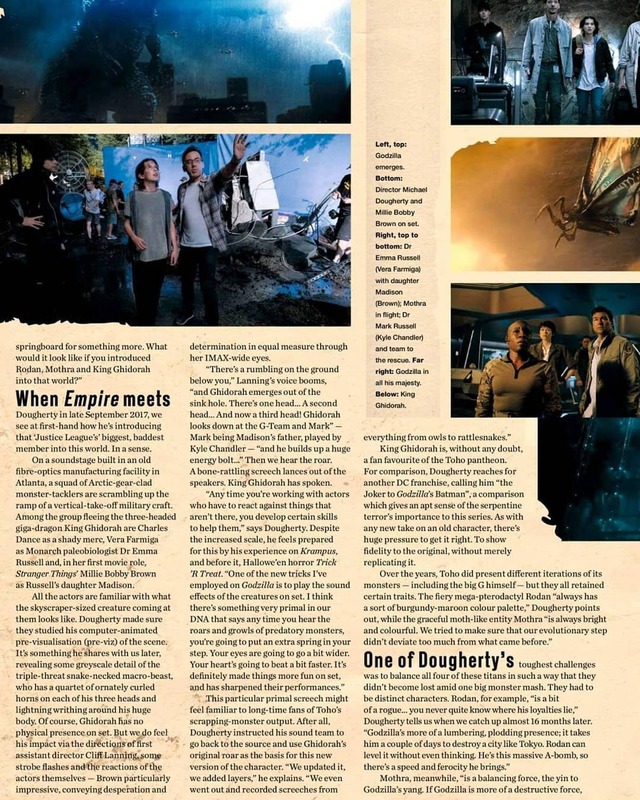 With these words, Micheal Dougherty promises an epic movie.